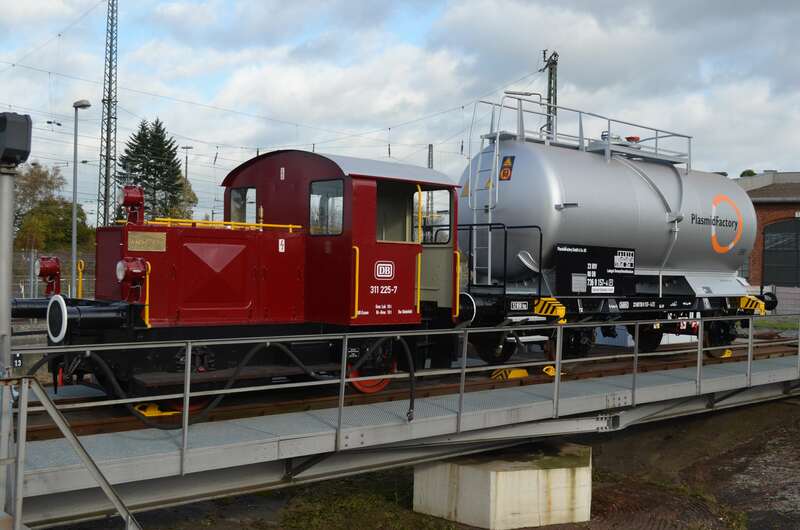 In November 2014 PlasmidFactory sponsored the restoration of a historic tank wagon through the Bielefelder Eisenbahnfreunde www.bielefelder-eisenbahnfreunde.de. The wagon was built in 1967 in Salzgitter and was used for the transport of acetic acid until 1998. The wagon is now exhibited at the Bielefeld roundhouse.